Famous as the city of Heroes, Surabaya is a charming place to visit. Surabaya is the second largest city with many tourists attractions. It is only the second after the super glamorous Jakarta. Though it might not be that luxurious compared to other metropolis cities in the world, Surabaya has its own charm that tourists will not find anywhere else. Surabaya city tour highlights some interesting places in this capital city of East Java. With a deep history of the battleship and colonialism, Surabaya is now popular with its amazing architecture and heritage sites. On top of that, this city is an advanced place for business, commerce, and industries. It is a populous country with a good quality government. The major of Surabaya City has shown a huge success of city planning. The streets are no longer dirty and the traffic is way better compared to the previous era. Furthermore, this Surabaya city tour also covers tour to lovely city parks and gardens. The name of Surabaya was derived from two words; Sura and Baya. Sura is the name of a mythical water animal like a giant fish. Besides, Baya means crocodilian reptile. The myth tells that Surabaya city supposedly came after a battle of Sura and Baya. The city appeared to be the venue of the legendary battle. Surabaya is a port city in which many cultures meet. Therefore, the architecture, the culture, and the signature cuisines are the mixtures of various ethnics. It is like a melting pot for various cultures. Like so, there is something special in this very city. The mythical story of Surabaya makes it more interesting. The Surabaya city tour will be like the combination of modern city tour and historic journey. Plus, there are various cuisine centers to visit in Surabaya. The valuable history will be mixed with the prettiness of Surabaya’s new faces. There are various iconic places to visit in Surabaya. It is called the city of heroes for some reasons. 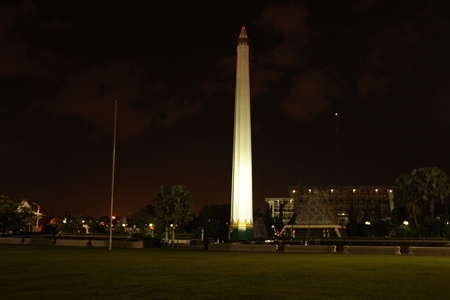 We can visit Heroes Monument right away while taking the Surabaya city tour. In addition, there is a submarine monument to see various items of historical events that once occurred in Surabaya. Besides, we can also go to the House of Sampoerna. 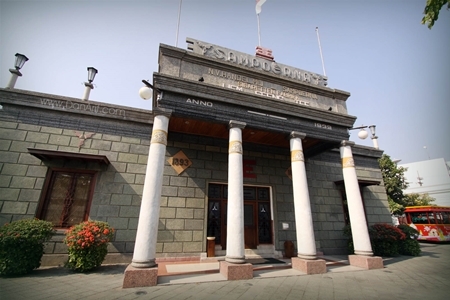 It is a museum of cigarette industry in Surabaya. And little do people know that Surabaya is actually a great place for religious and pilgrimage tour. There is at least one iconic place of Islamic tour in Ampel area. The Ampel mosque is frequently visited as a package of Wali Sanga pilgrimage tour in Java. Besides, tourists can go to Arab quarter for capturing the picture of thick acculturation in this city. There will be many Arabic restaurants with original flavors around the place. Surabaya has been recently chosen as a place for photoshoots. Many couples take pictures for pre-wedding photography in the historical spots in Surabaya. Surabaya sculpture icon is also famous for photoshoots. The architecture and old towns background look so shabby but chic for various photo themes. The taste of the local cuisine is also the essential attraction of Surabaya. People can have breakfast with traditional cuisines of various kinds. In addition, China Town is ready to serve the tastiest Chinese foods with the local styles. After that, tourists can go visiting shopping centers for souvenirs. Tourists might only want to stay in Surabaya for a while before leaving for the outdoor tours to Malang and Banyuwangi. It will be pleasant to stay in Surabaya overnight to take a rest before going to Bromo kick-off point in Probolinggo or Malang. People can do the culinary tour to get more energetic to experience the awesome tour of Bromo. 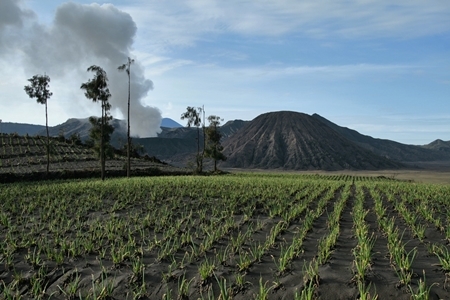 Bromo is a famous volcano with the midnight tour service of world class. Moreover, it offers other nearby outdoor tours like Songa water rafting or Ranu Kumbolo tour. After enjoying the superb sunrise in Bromo, tourists can go around and explore the green savanna of Teletubbies hills around Batok volcano. The tour will end up soon because it is a fairly midnight short trip. Next, the tour will continue to Ijen. Those who are planning to take Ijen Crater tour package directly can just start the tour from Surabaya. Ijen also has a superb panoramic view. The blue fire and the acidic Lake of Ijen will be a priceless journey for everyone. With those two amazing outdoor destinations, Surabaya will be the best place to visit. Tourists will love taking the Surabaya city tour to see the heritage sites before enjoying the outdoor package. It will be a compact tour with thousand of fond memories. Surabaya City tour is fully customized tour that can be added to any tour package covering some destinations in East Java. How to Get to Ijen Crater from Surabaya, How Much Does It Cost?